Honey bees play an essential role in agriculture, not only producing honey and beeswax but also pollinating a vast number of food crops. Beekeeping is a unique primary industry, depending on native flora for about 80% of its production. Nectar and pollen are produced seasonally and beekeepers must often move their hives large distances to be successful. NSW DPI's role is to provide support to the apiary industry through the provision of extension officers, research scientists, diagnostic laboratories, beekeeping courses and regulatory services. See Bee Biosecurity: Compliance, Awareness and Engagement. The DPI is conducting an Expressions of Interest (EOI) for apiary sites on public public land from the 30th of January. Visit our EOI page to learn more. As of 1 July 2017, the Apiaries Act 1985 is replaced by the NSW Biosecurity Act 2015. For further information visit the Biosecurity legislation page. 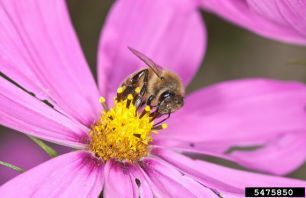 Australian Government DAFF is developing a strategy for enhancing honey bee and pollination continuity in the future event of a major pest or disease in Australia.